Christmas is the best time of the year until evil comes knocking. Danica Jordan's is looking forward to her first Christmas with her newborn niece, but when she arrives home, she finds an open door and an empty crib. Searching the house, she discovers her sister asleep in her room. Panic sets in when the two sisters realize Baby Angelica’s been abducted. 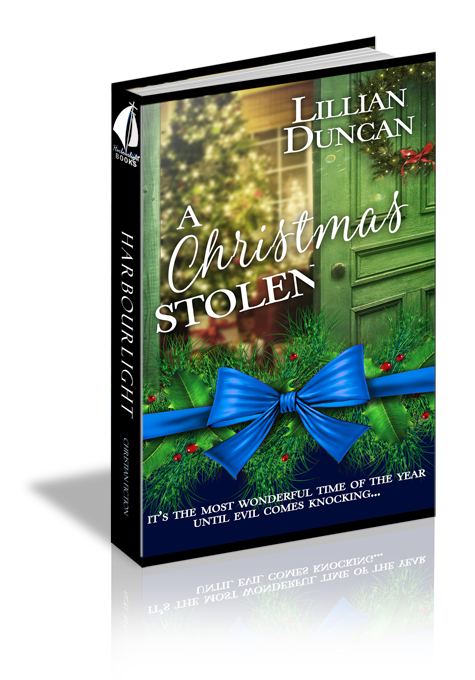 With the baby abducted, Christmas stolen, and an investigation in full swing, Danica comes face to face with the two men who ruined her life. This Christmas could be ruined, or Danica could realize that Christmas isn’t a thing but a symbol of God’s love that can never be stolen—no matter the circumstances. Leah Barnes sat in the rocker as she softly hummed a Christmas carol and gazed at her newborn daughter, Angelica. Leah wasn’t expecting anyone for several more hours. With the snow falling it could be a while before her sister would be here to spend the holiday with them. But with the birth of Angelica, it seemed as if every person she knew was stopping by for a peek at her sweet little Christmas angel. The doctors had told her she had no chance of ever conceiving, let alone carrying a baby to term, but God gave her a miracle—just as He had more than two thousand years ago at the very first Christmas. And how special this Christmas would be because of this precious little wonder. Leah set the baby in her bassinet then went and opened the front door. Maria smiled and took a few steps inside forcing Leah to step back. “Then that’s why I’m here. Someone must have given your name to Anna Mae—that’s the lady in charge. Anyway, we’re here to help make life a little bit easier for you. We know how difficult it can be with a new baby. It’s a service we provide for the community, not just church members.” She took another step toward Leah. “How wonderful for you. Is he here? Now?” The woman flipped off her hood, revealing dark black hair that hung straight down. The long bangs met the big glasses. It wasn’t the best look. This young woman could definitely use a little fashion help. “In the bassinet.” Leah pointed toward the corner where the pink wicker bassinet sat. “Oh my. She’s so pretty.” Maria stared at the baby. Angelica opened her eyes, her nose crinkled, and a squeaky cry emerged from her tiny mouth. Leah settled into the rocking chair and hummed. By the time Maria was back with the tea, Angelica was happily having her second breakfast of the day. She didn’t actually use sugar in her tea, but Leah took a sip anyway. “It’s perfect.” Not the best tea she’d ever had but it was nice of Maria to try. She took several more sips to show her appreciation. “Great idea.” Maria picked up the phone then snapped a picture. Question 1: 1. Do you believe the person you need to forgive should ask you for forgiveness before you actually do forgive? Why or Why not? Question 2: 2. Once you forgive someone, does the anger and hurt automatically go away? Answer 2: No, it's a process. Question 3: 3. If you still feel hurt or anger, does that mean you really haven’t forgiven? Question 4: 4. What if the person isn’t sorry or doesn’t ask for forgiveness, should you still forgive them? Question 5: 5. In the story, Danica felt the blinking of the cross was a sign from God. Do you believe God does send us signs? Question 6: Has there been a time God gave you a sign about something important to you? Question 7: 6. Danica thinks about how her parents managed to balance the legend of Santa and presents with the meaning of the real Christmas. What are some ways you do that in your own life? Question 8: 7. How do you feel about Kat/Katrina? Was she a victim or a perpetrator?